There are many ways to donate. You can donate food and personal care items or money. You can donate goods or services or you can donate your time. 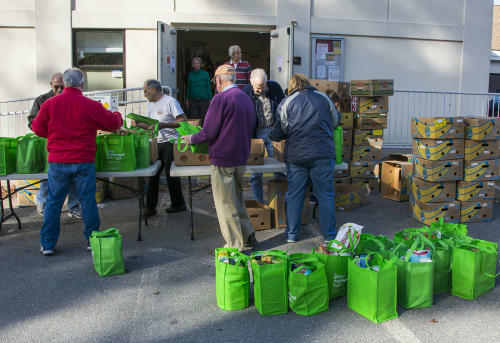 Bemis Associates, Inc. of Shirley encourages employees to volunteer at the pantry. Bemis volunteers logged over 450 volunteer hours last year as part of their Community Service Program! 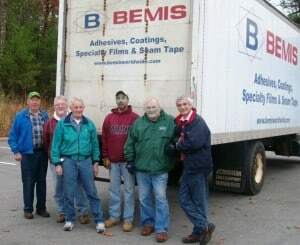 Bemis donates transportation, employees, technical services and gives freely of their time and resources to help ensure no one is hungry in the community. From food drives, to cash donations, to hosting special events, Bemis Associates is a great supporter of Loaves & Fishes Food Pantry!